When we use a apps, it is possible to experience where the apps is not working. This situation was probably experienced by you when you try to root your device by using Kingo Root. Usually, people will be panic when they found that Kingo Root is not working and they will think about what will happen with their device. If now you are experiencing it, you will get the answer all your worry by reading this article. Generally, there are two reasons of why it can happen. First, there is no available exploit for your device. You need to know that Kingo does not support android version above 5.1. Second, it can happen because boatloader is locked by manufacturer. If there is locked manufacturer on your device, Kingo cannot do anything to root your device. Then, what should we do if Kingo is not working or failed? The first thing that you have to do is do not be panic. You are able to wait and stay tuned with Kingo update and then try it out with every new version released. After that, you are able to unlock your boatloader and then try again. Then, you are able to search on Google about how to root plus your device model and also find some resolution manually. You need to be careful when it requires to flash a custom recovery. Well, to avoid the rooting process is failed or not working when you are using Kingo Root, you are able to do the following things. Rooting process may take you a long time. So, you need to make sure that your battery is charged to at least 80% but even it is better if your battery is 100%. Before you root your android, it is important for you to back up data. It is done to prevent from data loss if it fails to root. 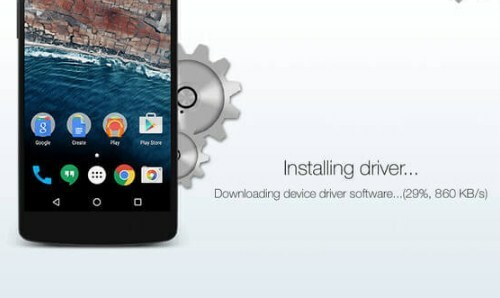 You need to make sure that you have downloaded and installed the correct driver for your android. If you root using PC, make sure that you enable USB debugging on your android. Select a rooting method that is suitable with your device most and then you are able to discover the rooting tutorials from the internet. You are able to download Root Checker to check whether your device is rooted or not after you finish the rooting steps. Now, what do we have to do when rooting goes wrong? If the rooting process is failed, it may lead to several issues and some of them are quite annoying such as data loss, unknown network, stuck at rooting process and so on. If the process stops and stuck, you are able to hard stop the rooting by holding down “Home” and “Power” buttons together till the screen dims. You are also able to try Android Data Extraction to restore Android from unresponsive screen death problem. It is a tool which is professional particularly for solving android system issues. You just need to hook up the program and it will d all the rest for you. Related Post "Kingo Root Not Working"